Clow Valve and University of Northern Iowa Cast Commemorative VPP Coin | McWane, Inc.
Posted on March 12, 2014, in Achievements and tagged Clow Valve, McWane, UNI, University of Northern Iowa, VPP Star. Bookmark the permalink. 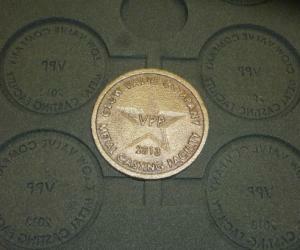 Comments Off on Clow Valve and University of Northern Iowa Cast Commemorative VPP Coin.